Bandwidth caps are very common these days with ISP (Internet Serive Provider), if you are not aware of it is can be a reason to worry when you see the next month bill your ISP sends you.I’ve heard of many cases where the consumer is unaware of the bandwidth caps and the extra charges to be levied after the free usage.ISP in many cases don’t provide users with free desktop network bandwidth monitoring tool which can help keep track of the users bandwidth consumption pattern, in a few cases ISP’s provide just a online report for the consumer to login and check which acts in the favour of the ISP as most users don’t follow this step. 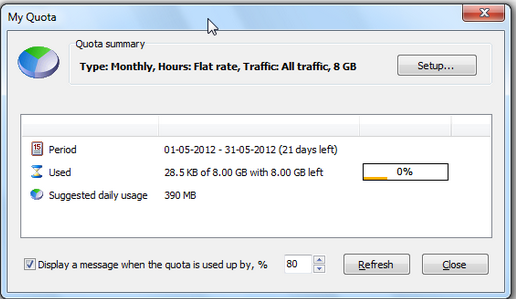 If you are on such plans where there is a monthly data usage limit, then you can use 3rd party bandwidth monitoring apps which can help check the usage with a simple click of the mouse button.Networx is a free network bandwidth monitoring tool which helps keep track of your bandwidth usage.It very simple to setup if there is no step also ( there’s a portable version of Networx ).It supports almost all the networks regular home users would use like DialUp, Lan, WAN, WiFi etc. Download Install/Extract the ZIP File. 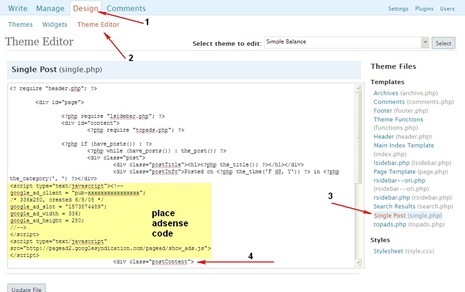 Run the application, and on the first run the configuration wizard starts to setup the configuration. 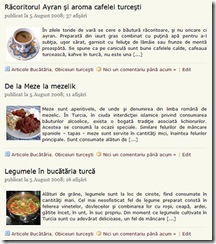 Select the language in Step 1. Select the Network Connection you use to connect to the internet. Click Finish, and the NetWorx Tray icon should be available from where the application can be further configured. 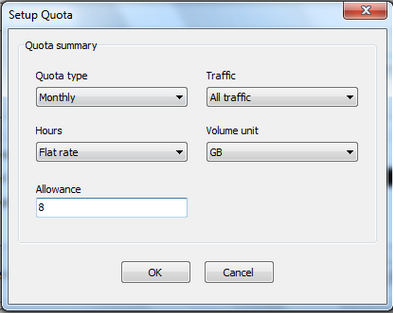 Right Click the tray icon and select “ Quota ” which is used to set the bandwidth quota your ISP is providing you according to the plan you have chosen.In the My Quota window Click “Setup” under Quota Summary, which should help further customize how the bandwidth usage is tracked. 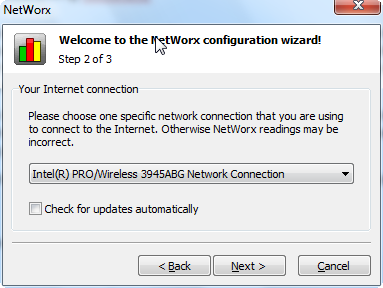 If you are using a network of computers then you would want the app to track bandwidth usage of the router than of the individual computer, to setup NetWorx for a network.Right Click the NetWorx tray icon and select “ Settings ”. In the monitored interfaces sections click, Monitor my router rather than this computer. Note : Router monitoring requires a SNMP supported router. 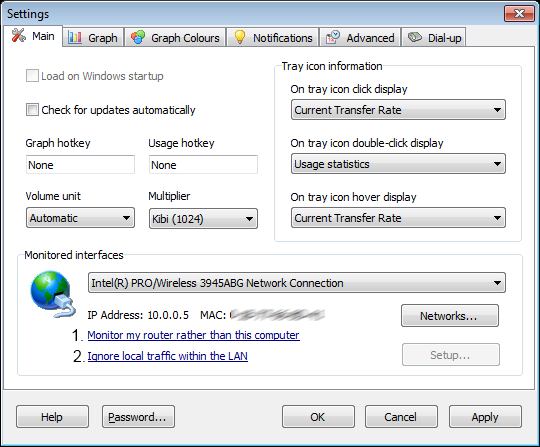 Local traffic in the LAN can be ignored for which click the link just below the monitor the router link.This feature requires a 3rd part tool (WinPCap) which NetWorx can download and setups automatically. Networx is available as a installer or a portable app ( which I like ) as it is easier to backup data and move across systems without loosing data.